The first book in a small town series about a high school football team. Get ready for hot guys, BFFs, sizzling kisses and teen drama as the Nelson High Raiders figure out who to love, and how to play out their final year of high school. Her last chance to leave Nelson High without a bucket-load of regrets. Number one priority—get Colt Burgess to fall in love with her. So what if he’s the Raider’s number one playmaker? So what if he’s so far out of her league, the idea of them together would rupture the school’s social order? 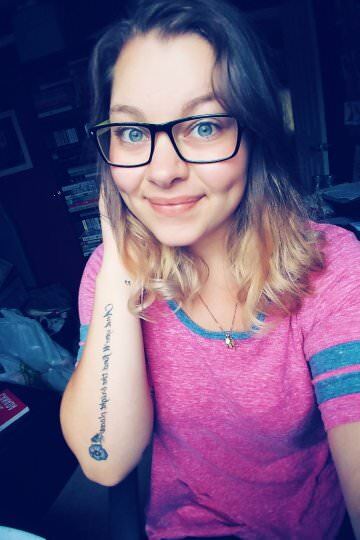 She has to try, before it’s too late. She’s come up with the perfect set of plays. All Colt has to do now is buy into them. Colt Burgess wants one thing: to play football after high school. But his grades are tanking and his dreams of playing college ball are fading…fast. He shouldn’t waste time on Tori Lomax. However, she was a friend back in middle school, and he can’t really ignore her small request for a favor. How hard can it be to get the guy she’s lusting after to notice her? He’ll help her out, and then he’ll focus on what’s really important: football. Before I dive into this review, I need to say Thank-You to Jordan Ford for sending me a copy of this novel for review! I am so ecstatic to have finally read the beginning of this series, and believe me, it did not disappoint!! Well let me say that it was AMAZING! Yes there could have been a few tweaks, like less talk from Tori about wanting Colt so much, and maybe a little more of real talk between them. But wow! Honestly, I started it late one night, and basically finished it the next morning. I had to stop myself from reading it, because I was just reading it so fast! I can definitely say that I was hooked from the very beginning, and it was such a fast read! Couldn't put it down if you tried! While reading The Playmaker, you get a lot of different references. Not only is there a lot of football talk-which I loved!- but there were also references to old school movies which made it even better! I really got the vibe of She's All That, The D.U.F.F and A Cinderella Story from beginning to end! There was also a mean girls scene that seriously cracked me up! Could not believe that happened! Just the overall concept of trying to be someone you're not to get the attention and approval of others, really speaks to everyone, because everyone really goes through that at one point in their life! I found myself a majority of the time smiling, or laughing while reading this! I don't think I've ever smiled so much, and as I kept reading, there was so much more that was being unveiled that made my heart melt!! Of course I had plenty of moments where I found myself yelling at my e-reader being so frustrated, when I knew full well that they CLEARLY liked each other!! Part of the time, I kept yelling at Tori to just GO FOR IT! The other part I just didn't get why Colt couldn't let his past go...Which by the way, what's the deal with that anyway?! Moving on from there, I really enjoyed the aspects of the novel where their true colours shine. There is a scene that happens with Colt and I definitely felt what Tori felt the entire time. What she ends up doing was probably the sweetest thing I've read lately and totally had me on the edge of my seat!! I also really enjoyed the fact that Colt really spoke about the truth with dreams and knowing that even if others don't believe in you, then you need to believe in yourself, and that can be enough. I really enjoyed how much the backstory really comes through at the most important parts of the novel! So going back a little bit to their true colours, I can say that there was a scene that I was equally thrilled, nervous, and then outraged all within a couple chapters. Finally seeing Tori break from her shell was amazing, but of course when there's a football team (or any sports team) involved, there tends to be rivalry teams...Needless to say that throughout the novel, there was one specific character I absolutely hated! He just gave all the wrong vibes, and had a few choice words that aren't really the nicest things to write about...When I read the scene towards the end (if you read the book, I'm sure you know what I'm talking about) I was honestly so mad about him! Alright, so here are a couple amazing quotes that I found while reading The Playmaker. Honestly, they really said a lot, and spoke so much about the book! "You'll find yours. There'll come this moment when your eyes pop wide open and you'll feel it." "No matter what you change on the outside, you're still going to be you in here...you're too sweet and original, which is a good thing. I like that about you, but it doesn't mean you fit. I don't want to see you get hurt." Overall I really enjoyed this novel! I was up, then down, and back to the feels so hard. When I say :I can't even" I seriously mean it! The way that things unfolded, had me second guessing everything! i loved it, and hated it (in a good way) because there were so many things that happened that I may not have personally liked of the characters, but made the novel better as a whole! I am so excited to continue this series, and I seriously wish that there was more on Tori and Colt. What happens after high school? What happens to Colt's parents, What happens to Tori and where she ends up? So much going on that I just couldn't get enough! I don't know what else I can really say, except that it was totally a cute love story, yet had the impact that lasts! Definitely a fan of Jordan Ford!! 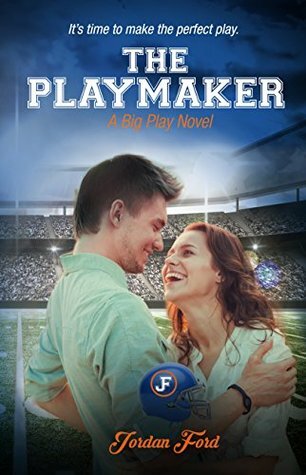 And that is all for my review of The Playmaker! I hope you enjoyed it, and grab yourself a copy! If you're looking for a quick read in between slumps, a cozy romance novel on rainy days, or even just a summer read for the cottage, this is it!